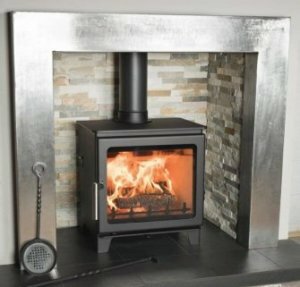 Looking For a Range of Ecodesign Stoves? Currently there are not many stoves on the market that have Ecodesign accreditation. Fortunately Town and Country stoves are on hand with a fantastic range on offer. Most manufacturers don’t presently have a single stove certified to meet the requirements by law when they come into effect in 2022. With Town and Country stoves they currently have five Ecodesign models making them one of the leaders in the market today. And with a broad range of styles there should be something from everyone. 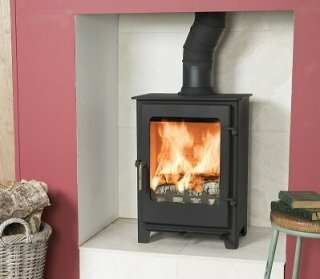 Our best seller is the Town and Country Pickering Ecodesign stove. It’s a stylish modern body and large window creates stunning visuals in any home. It offers a new handle technology that removes the need for an oven glove as the handle stays much cooler than most of its rivals. It has an optional outside air kit and comes in a range of colours. If you are conscious about your energy bills or carbon footprint this is a great place to start. These (and other Ecodesign stoves) provide more heat for longer and release less carbon into the atmosphere. Other stoves within the Town and Country range that are Ecodesign ready are Caedmon, Cropton, Harrogate Eco, Pickering and Rosedale Inset. The Rosedale Inset will fit into a standard 16″ fireplace opening if you don’t want to open up the chimney. You can view some of the Town and Country stoves on display in our showroom just next door to the Co-op in Sale, opposite the Interior Curtain Centre.